Papua New Guinea Prime Minister, Peter O’Neill says the National Executive Council(NEC) has endorsed the setting up of the State Negotiating Team (SNT), which will lead project development deliberations with the new natural gas field development proposers this year. Prime Minister O’Neill said the team will closely look at the development of three gas fields currently under development in the country. “This follows the Cabinet’s approval of the Papua New Guinea Natural Gas Policy White paper that is intended to set in place specific policies to maximise benefits to the country by adding value to PNG’s domestic economy. “The State Negotiating Team (SNT) will be led by the Chief Secretary to Government, Isaac Lupari with the Managing Director of Kumul Petroleum Holdings Limited as the Deputy Team Leader. “The other members of the Team are the Secretaries for the Departments of Treasury and Petroleum, the Managing Director of Mineral Resources Development Company (MRDC), the Director for the Gas Projects Coordination Office and the State Solicitor for legal advice and clearance of gas agreements. “The three natural gas fields namely, Pasca A, P’nyang and Elke/antelope are approaching project development and two (Pasca A and P’nyang) are in Application for Petroleum Development License (APDL) while one Elke/Antelope) is fulfilling its Petroleum Retention License (PRL) conditions in preparation to move onto making an APDL. “The State Negotiating Team will prepare and enter into negotiations with each of the project development proposers and establish a Gas Agreement for each of the projects,” Mr O’Neill said. The Prime Minister also announced the terms of reference for the State Negotiating Team as well as an Advisory Board and a Technical Working Group. The Government’s Gas Project Coordination office (GPCO) will provide the Secretariat role to the State Negotiating Team (SNT) and to the Advisory Body as well. j) Minister for Environment and Conservation. The Minister for Petroleum shall be the Chairman of the MGC. “It is important that the State has the best team available to negotiate the best terms possible for our country and the best ministerial team to provide guidance and leadership to realize our national development aspirations. “With the policies in place to provide a comprehensive framework to direct the development and growth of the natural gas industry, comes the added responsibility to ensure optimal benefit to the country and its future generation,” said Prime Minister O’Neill. 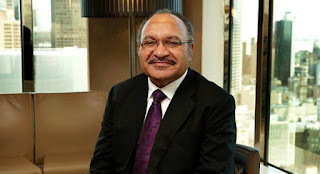 He said the recent PNG LNG development had made PNG a key natural gas producer in the Asia Pacific region and these three gas developments will add value to PNG’s economy and further boost its reputation as a world class LNG Producer. “As we prepare to host the APEC Leaders Meeting in November 2018, Papua New Guinea needs to showcase the next lot of world class developments to LNG Customers from within the APEC Economies and secure potential buyers. “The Government is committed to concluding negotiations with the developers and I wish to encourage the developers to working closely with the State Negotiating Team (SNT) so the three natural gas projects can be developed to bring benefit to the developers, financiers, land owners and the country as a whole. “I have every confidence in the State Negotiating Team which is made up of senior and well experienced public servants to deliver the project that will add value to the economy and the country,” he said.